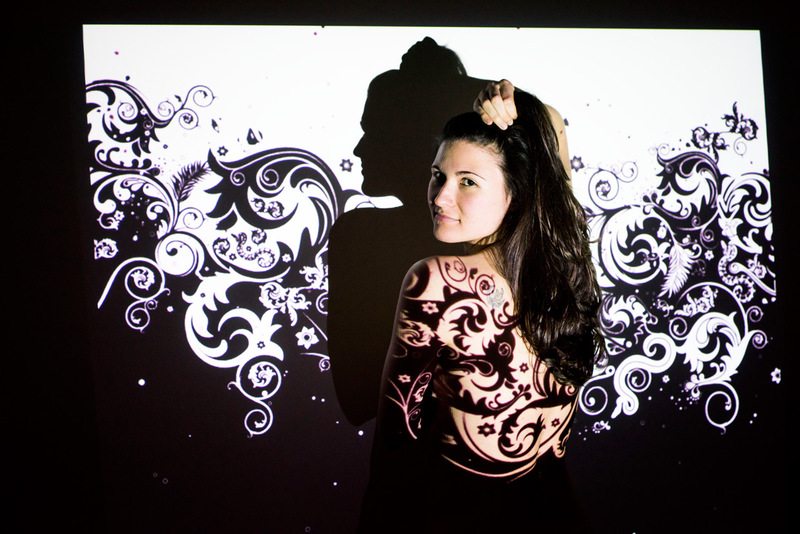 Here are some photos from another projection shoot I did, this time with my friend Stoyana. We were experimenting with different paintings, some of them done by her talented sister Iliana (her website). We also played around with black and white patterns and photos of butterflies. Here is Stoyana with one of Iliana’s paintings. This flowery black and white image worked really well. I liked that it was black at the bottom, hiding the edge of the screen. We were limited by the size of my living room. It would have been great to move the projector back just a bit to get more screen area. 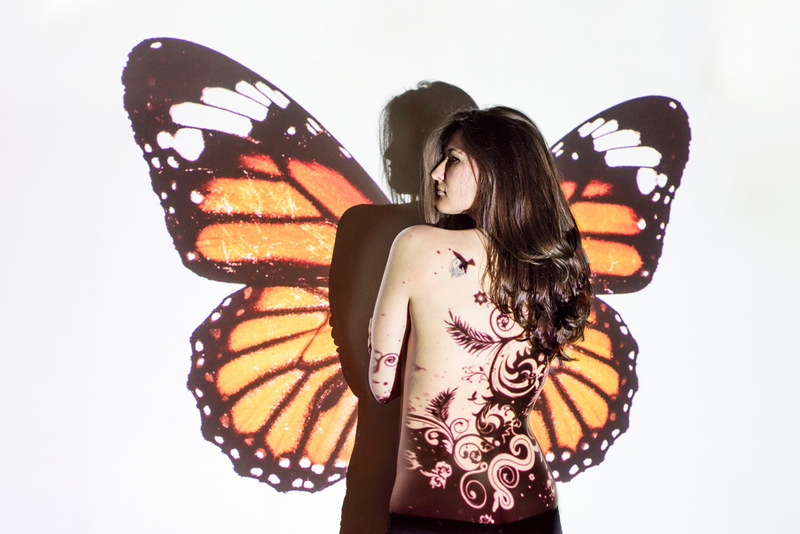 This shot is done with two exposures, the first one using the butterfly wings, the second one to get the texture on Stoyana’s back. We experimented with a lot of different paintings and images. Above are some of my favourites. Many thanks to Stoyana for a great photo shoot, and to Iliana for sending us digital copies of her paintings to use.